US grain and oilseed markets exploded higher last night on the open following the G-20 meetings over the weekend leaving price gaps everywhere you look. The meeting appears to have been a success as the message has been spun as positive by both sides. There haven’t been many details released, the US president will wait and hold a press conference after the national day of mourning for President HW Bush on Wednesday while the Chinese have been optimistic through their propaganda sources. All of the markets I cover for you each day opened higher but have pulled back. 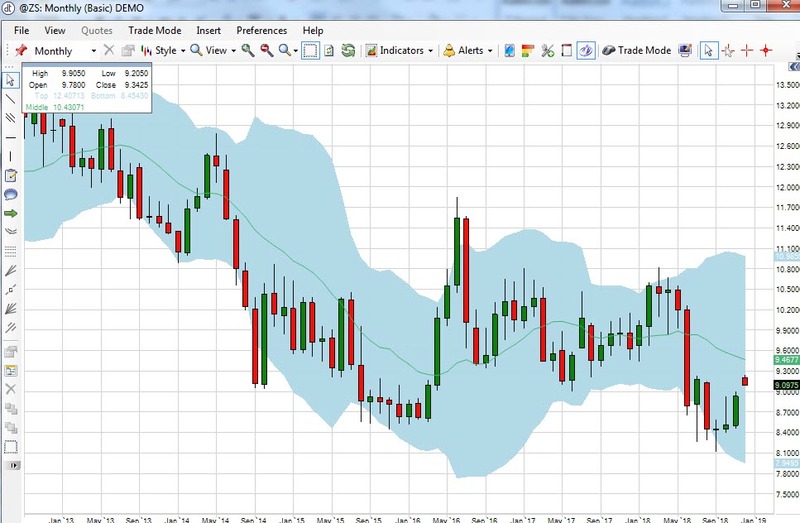 March corn and Jan beans traded at 385 and 923 (up 10 and 30) on the open but have pulled back substantially to 382 and 910 as the evening progressed. Wheat markets, following the move higher on Friday pushed to 530 March Chicago and 512 KC, but have fallen back to 520 and 505 (it should be noted December Chicago wheat trades even with March). 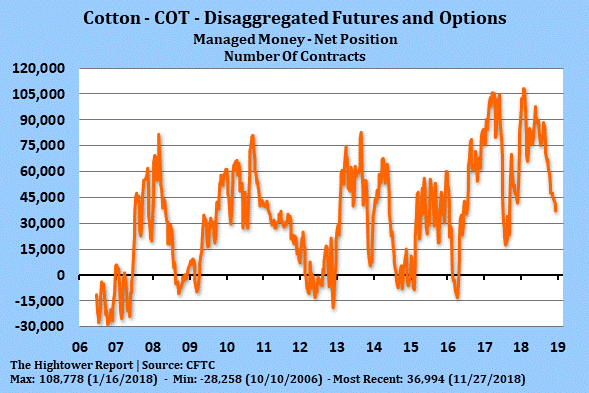 Cotton markets saw similar action on its open an hour after the CBOT, prices pushed to 81.85 on the March contract but trades 80.84 this morning. The markets will be watching very closely for any purchases from China. 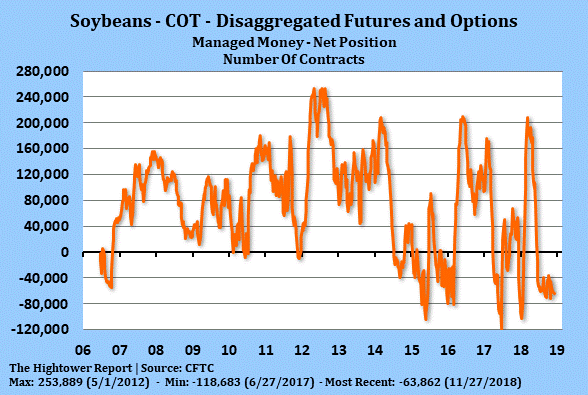 If the USDA announces this morning that substantial purchases of beans have been made, then the market probably pushes back to last night’s highs rather quickly. No one in China has a clue as to what the agreement means for their ag or energy demand or future purchases and no one here has any clue what “very substantial means”. I imagine we will learn a lot when President Trump speaks later this week after 41 is laid to rest. For the week ahead, we are looking at a national day of morning on Wednesday with an OPEC meeting on Thursday. I do not know if that means USDA announcements at the back half of the week will be delayed. 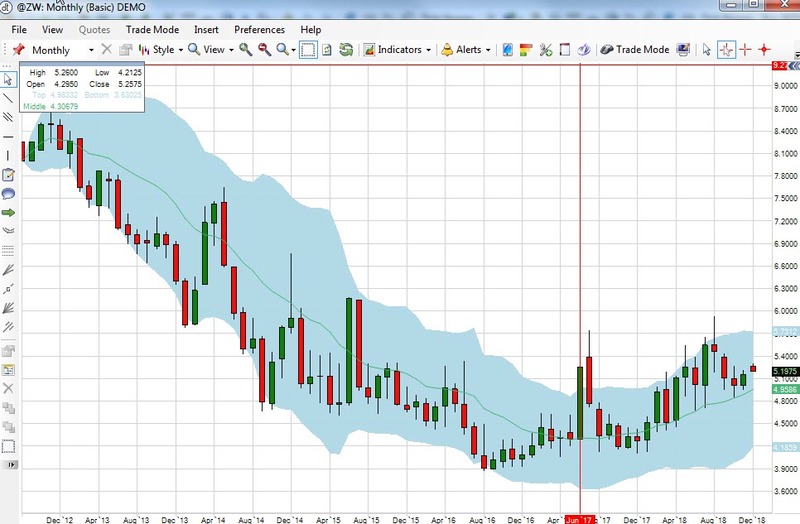 Beyond this news, the next big event for grain and oilseed traders will be the December WASDE released next Tuesday December 11. The Dec report is normally not a big one as adjustments lie in the New Year, but given this news how demand gets adjusted is anyone’s guess. As I mentioned last week, the global asset markets are grappling with 2 issues right now. The first (China) has been addressed, at least partially. The second (interest rates) remains a wild card. Central banker speeches are littered throughout the week and will go on into the large December Fed meeting on the 17th and 18th. One buried piece of news is the newly signed trade agreement between the US, Mexico and Canada that is now in place. That should be supportive US ag. 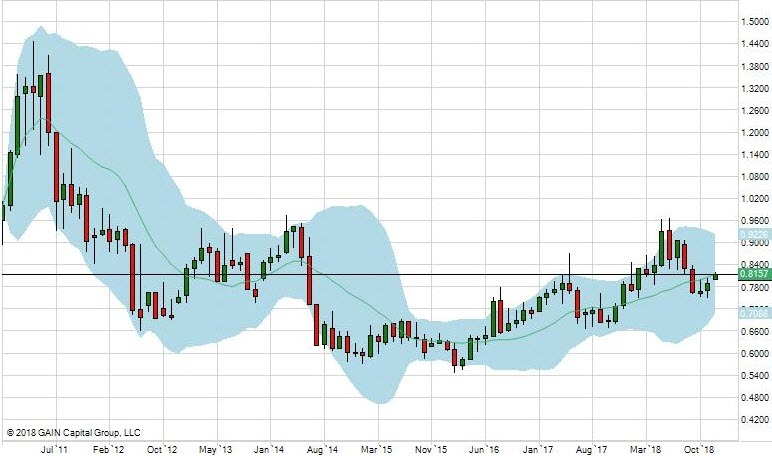 For this week’s commodity breakdown, I have included monthly charts for markets so you can see some longer term looks at where prices could run. Extreme bullishness and short covering would be needed to take markets to the top of Bollinger bands. 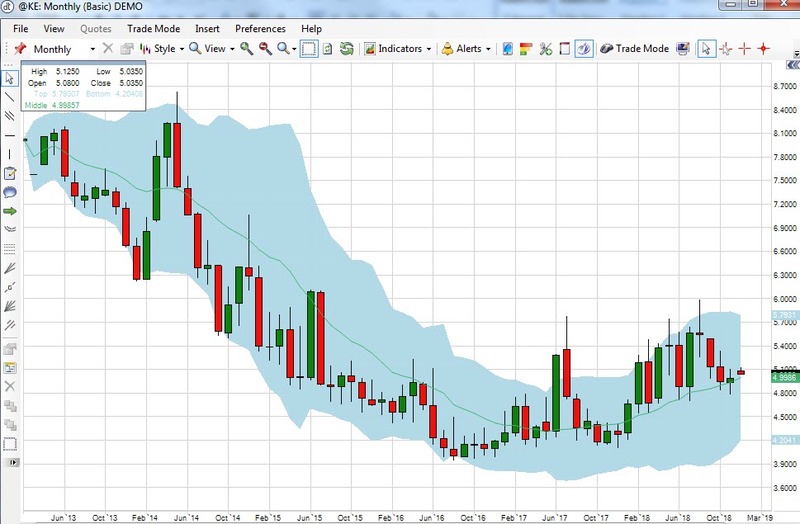 Cotton has a tremendous amount of upside should the demand situation fall a certain way. Cotton got little press from the meeting due to soybean dominance but China demand really matters. The difference between soybeans and cotton right now is that cotton has a supply issue. People seem to have forgotten that as demand has fallen, US supply has dropped almost 1.5 million bales in the last two USDA reports while global supply has fallen as well. Harvest progresses out in West Texas. One producer told me finding quality cotton will be like finding gold from the perspective of the cotton buyer. Yields have come in OK, but the quality issue will be one that will hang around a while. Prices have followed the seasonal buy recommendation to a “T”. Markets bottomed as seasonals switched from bearish to bullish on the 23rd. Now we need some rubber to meet some road and show better demand than we have seen. It has improved but it lags substantially the numbers from the same period going back 3 years. I think the price action from the meeting can give everyone a green light to reduce hedges, harvest lows should be in. Funds remain somewhat long but well below levels from before the selloff occurred. If cards turn a certain way, a test of 84-85 would be in order before an eventual run to the 90 cent gap on front month. A lot of fundamentals have to fall in line to make that happen. 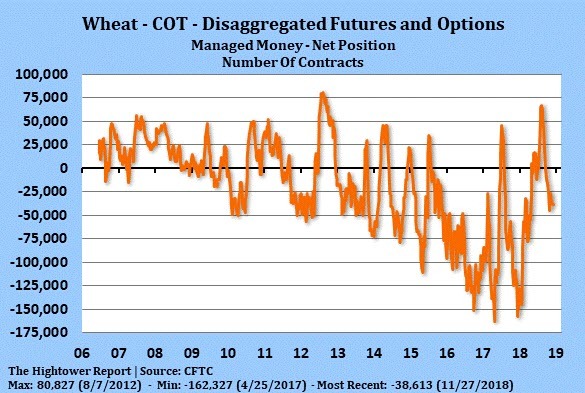 The market for wheat doesn’t need any help rallying here now that delivery is behind us. Producers of new crop KC are encouraged to buy July call options if you have not yet. If you have, good on ya. Chicago wheat is showing more strength in delivery than we have seen in years given the VSR reduction. Putin reaffirmed a 34 MMT target for Russian wheat exports this week, which is bullish. December Chicago wheat futures trade even with March, which reflects the strength in the global markets. KC supplies remain ample and price weakness has not been rewarded yet by global buyers. That said, we are entering a three month period where it should improve substantially, especially if the US dollar would weaken. US Winter wheat acreage expansion is no longer expected in the US amid adverse autumn weather. Moderate bulls should look at July calls. Spec buyers should look at July KC vs July Chicago wheat, as KC trades at a 5 cent discount. The questions around beans are many right now. If China renters our market immediately, what does that mean for US demand in the eyes of the USDA. We were facing supply hikes in coming USDA reports if China would not be a buyer. If China comes back into the market, what does that mean for US crushers? Crush margins would likely collapse as China would be able to profitably crush their own and US exports would likely fall. What do final yield numbers look like? What about acreage for next year? Unfortunately, the meeting left the market without many answers and with a 90+ day window to negotiate, I imagine the sniping through the media between the US and China will remain. Bottom line, the US gets some price reprieve in the interim but no one knows much about the long term story. Brazil will have substantial product to compete with the US come late spring, how many US acres are needed? The first question that will be answered will be when China makes their first big bean purchase and delivery. The stealthy winner from the G-20 fallout is Corn, specifically new crop. If things turn out with the best case scenario in mind regarding China, then the acreage battle is back on. 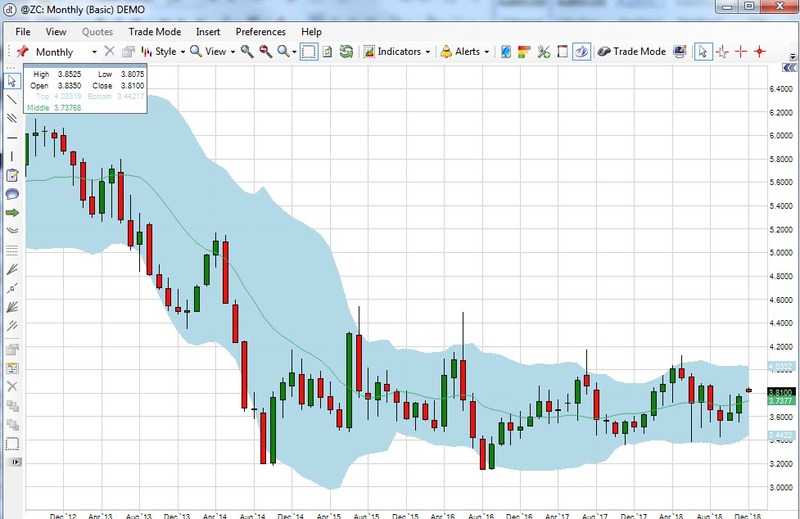 December19 corn trades back above 400 this morning with Nov 19 beans at 960. I think it’s a tough argument to make for 94+ million acres of corn at these prices. Much will depend on the basis obviously, but the unlike beans corn has a US and global supply story (ex-china) to lean on. Sorghum producers should be excited as I imagine China will be including it on their list of desired ag purchases. Producers with old crop in the bin for JFM sales should be targeting 390-400. I would like to be bullish beyond there but there is so much that depends on US supply to get there. 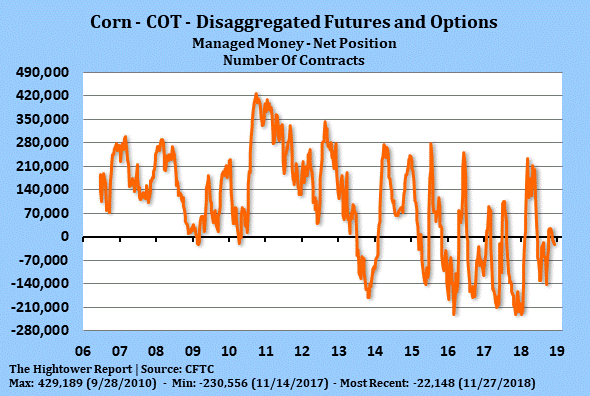 The best case scenario for corn producers could be unfolding, S.AM growers are chasing soybeans while corn acres are low. That will put the impetus on the US producer to pick up the slack from a global exporter standpoint. Producers should look at 450 Sep calls at the least to give you something to sell into this summer. Patience is key. This article originally appeared in the This Week in Grain (T.W.I.G.) Newsletter “This Week in Grain and Oilseeds 12/3-12/7” at 12/03/18 07:34:41 AM CT.